For our Special Focus – The Naksa, 48 Years Later we are highlighting a series of articles from our Journal of Palestine Studies archives that address the Naksa and its ongoing consequence. On this Sixty-Seventh anniversary of the Nakba we have chosen to highlight our archival collection of articles on the personal experiences of the Nakba. 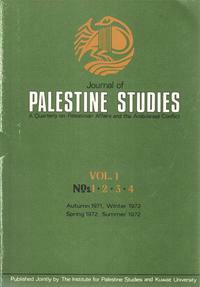 Journal of Palestine Studies 174 is now available online. Our latest issue features a rare in-depth interview with the leader of Palestinian Islamic Jihad, Dr. Shallah. On March 30th, 1976, Palestinian citizens of Israel protested against a renewed effort by the state of Israel to expropriate land from the nation’s marginalized population. Israeli police charged the demonstrators and killed six of them. As part of our Special Focus on Settler Violence in Palestine, the Institute for Palestine Studies has made available a series of articles on settlements – their history, expansion, and corollary of dispossession and violence. 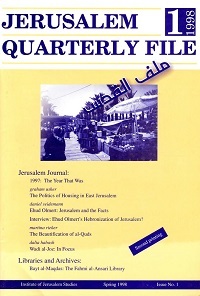 January Special Focus featuring Journal of Palestine Studies selected articles pertaining to the concept of martyrdom within the context of the Palestinian national struggle.